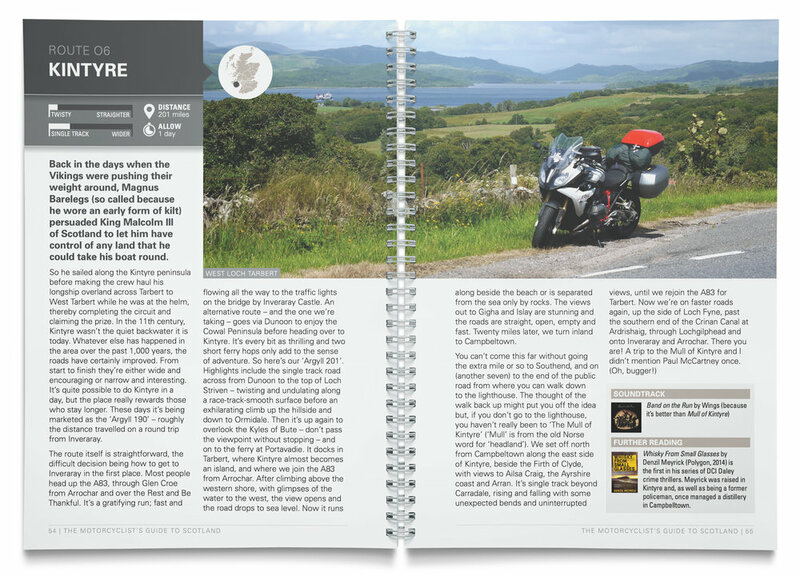 The Motorcyclist's Guide to Scotland is the only guide book dedicated to exploring Scotland on a motorbike. Written by former BBC Scotland journalist, JG Fergusson – a lifelong biker who has ridden every road in the book (this book, anyway!) 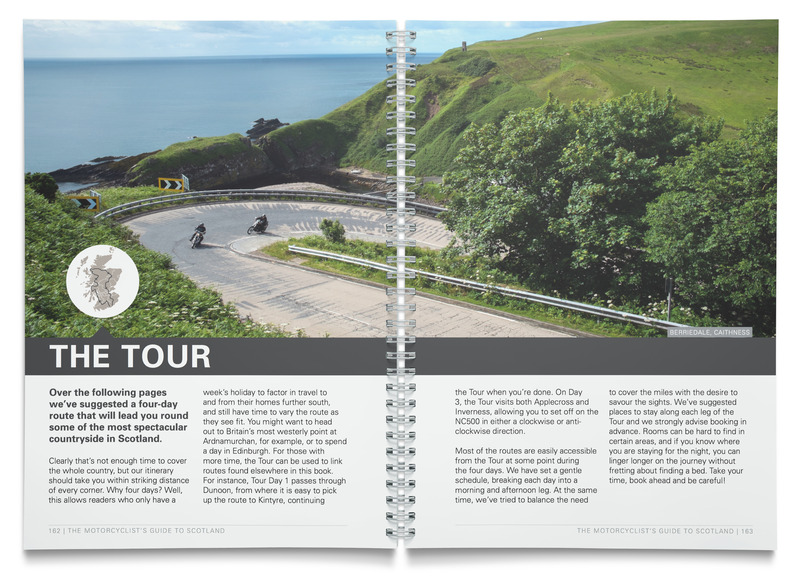 – The Motorcyclist’s Guide to Scotland features 30 exciting routes from the Solway coast to Shetland, and a suggested itinerary to tour the country in four days. The tour links with the individual routes to help you devise a bespoke tour if you can visit the country for longer. 208 pages long, the guide will help you find the best roads to ride, top things to see, biker-friendly places to stop, great places to eat and it lists all the refuelling opportunities along the way. Each route has a suggested reading list and a recommended soundtrack to keep you entertained while you ride. With chapters on Scotland’s motorcycle manufacturers, racing champions and inventors as well as riding etiquette and advice for visitors, this is a guidebook no home-based or visiting biker should be without.